A word of warning for any who want to visit the Louvre. Yes, it is an amazing museum. The sheer size of the place could count as a work of art in itself and I was truly amazed when I first saw the building, it was more like a palace than a museum. Even if you don’t go inside, at least stop by and take a gander at the place. It’s impressive to say the least. However, this museum was exhausting and a little overwhelming at times. The Louvre is home to some really famous pieces and if you know that you want to see one in particular, go for it! My family and I, however, were not at all prepared. Basically, all we knew was that we wanted to see The Mona Lisa, but there are a lot of other really famous pieces in the museum. 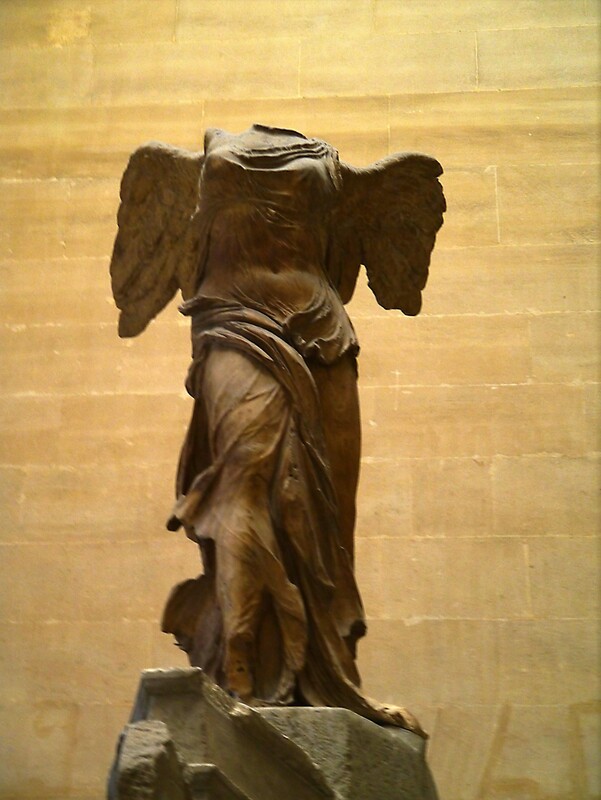 Some of my favorites were the Code of Hammurabi, and the Winged Victory of Samothrace (see below). There were also large sections of the museum housing a number of marble statues. This was my favorite part of the museum, because I felt like I walking through a garden of stone. 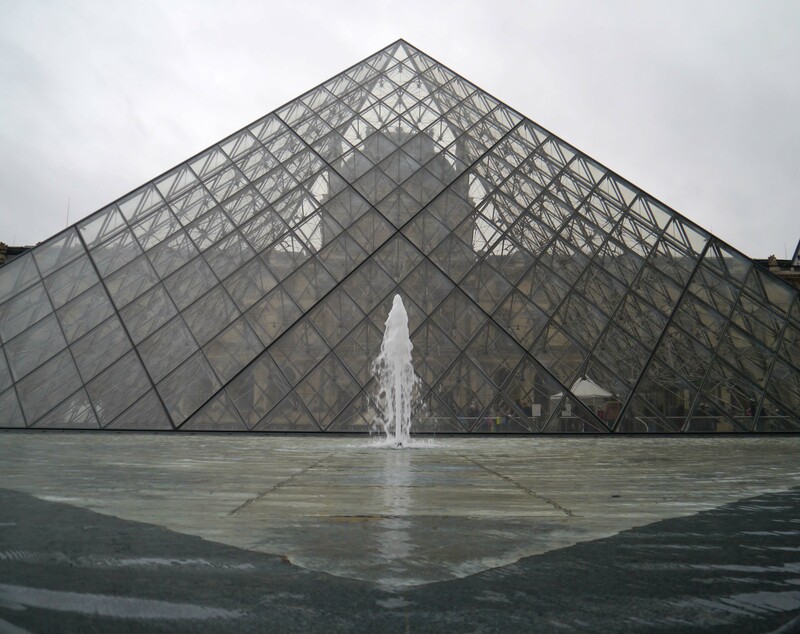 The glass pyramid of the Louvre (the entrance). 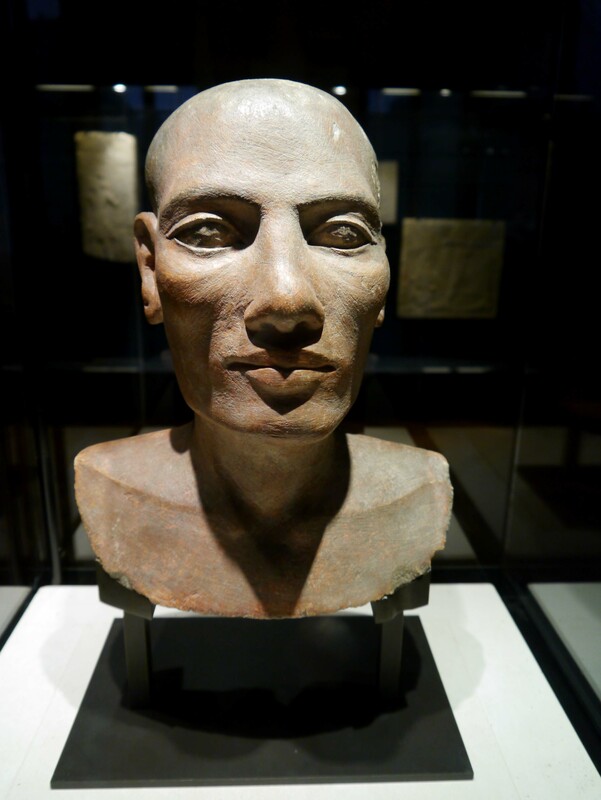 A sculpted head from Egypt. 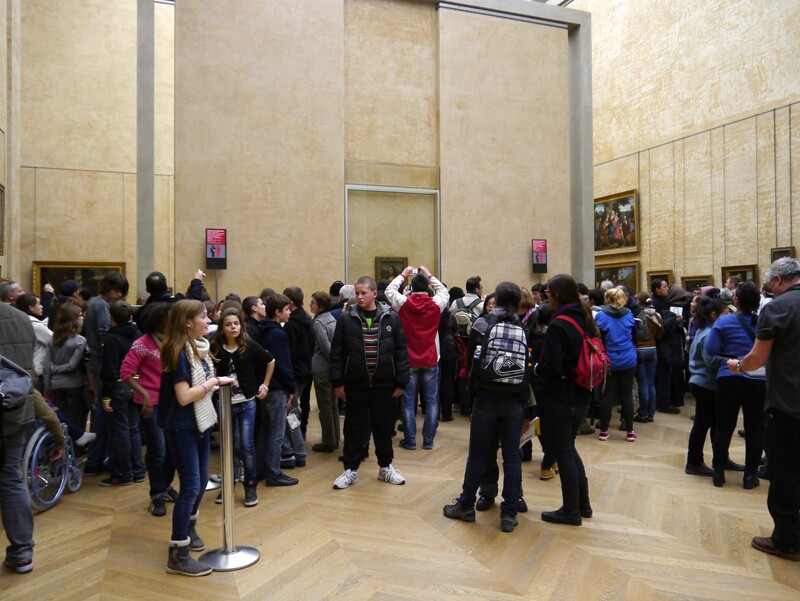 I thought the crowd around Mona Lisa was hilarious. Everyone (including myself) pushed and shoved their way to the front to see this smiling woman, take a picture and then amble on. One of the more interesting statues in the museum. 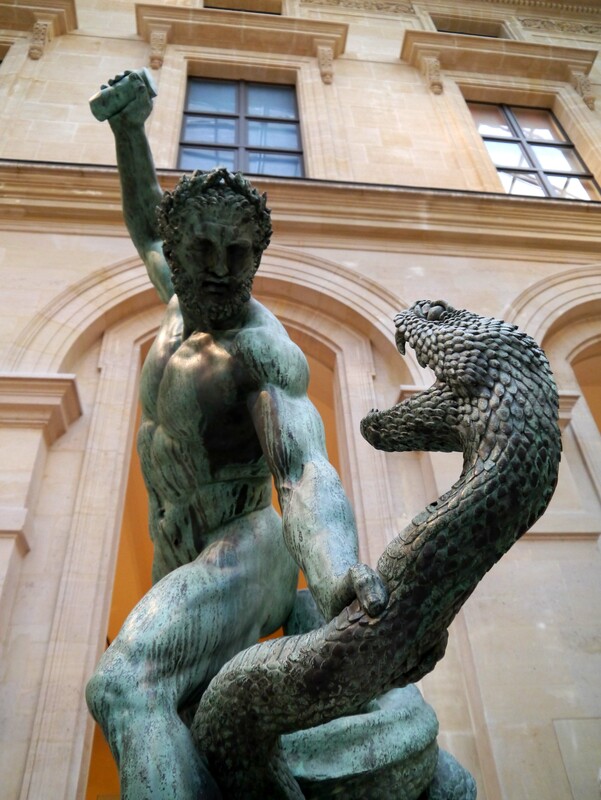 It depicts Hercules battling Achelous (a river god), who transformed into a snake. After the Louvre, my family and I met up with some relatives who also happened to be staying in Paris. It was only a coincidence that we even met up, but it was a pleasant night. Dinner was seafood and although I didn’t order them, my fish came with two snails. I was in France… so I had to try. I won’t be eating another snail again, but mostly it tasted like fish with a strange texture. 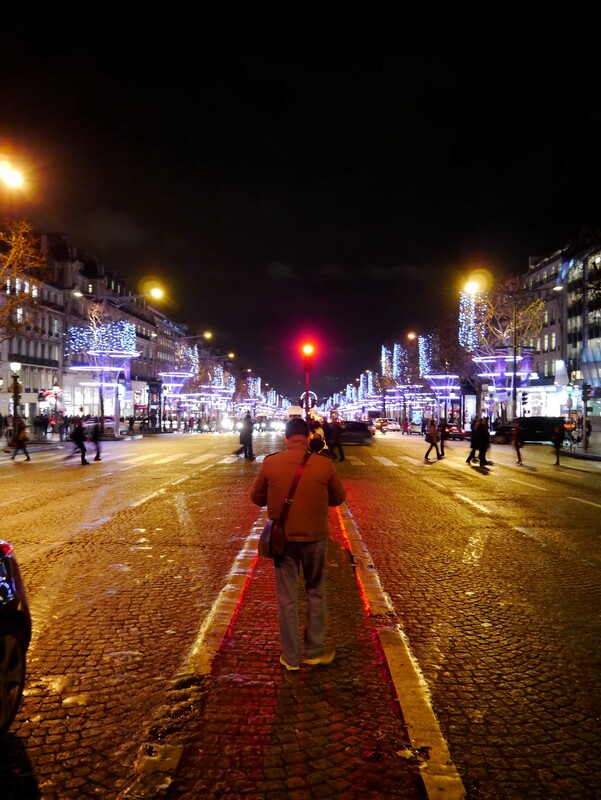 After dinner we walked around the Arc de Triomphe and admired the lights of the Champs-Élysées before retiring for the night.